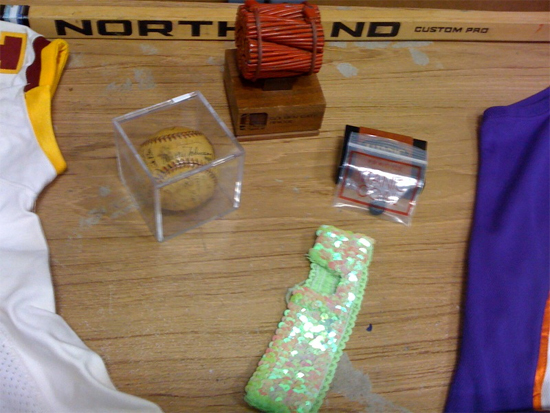 Going clockwise from the top, this would be a piece of the Golden Gate Bridge, a piece of the Titanic, a Hannah Montana headband, and a Walter Johnson signed baseball. Not a bad collection of items. Check back next week for the full interview, and more pictures from the game-used room!